This gathering is designed for local nonprofit Executive Directors and senior leaders seeking personal and professional renewal. Participants will have an opportunity to develop connections with fellow executives and step away from the office in a restorative setting. 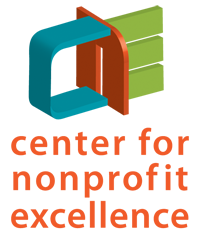 Offered by the Center for Nonprofit Excellence (CNE) of the Community Foundation for Monterey County. This session will include a discussion and guided meditation led by Marianne Rowe, MS, LMFT of the Monterey Bay Meditation Studio. Pausing to find the “eye of the hurricane” amid the swirl can help bring greater well-being, clarity and presence into the next step, conversation or endeavor. Marianne Rowe has been studying and practicing meditation since 1996. As founder of the Mindful Education Project, she has been teaching mindfulness to children, youth, and adults since 2007. Marianne also teaches courses in mindful relating and facilitates retreats to develop mindful awareness as an essential part of the creative process. In private practice as a Marriage and Family Therapist since 1986, Marianne focuses on healing, transformation and evolution through awareness and connection.